Sometimes Daniel feels happy. And sometimes Daniel feels sad. 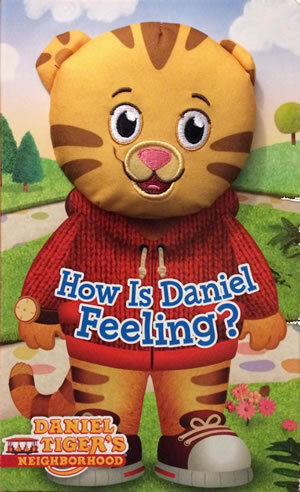 Learn all about different emotions with your friend Daniel Tiger. 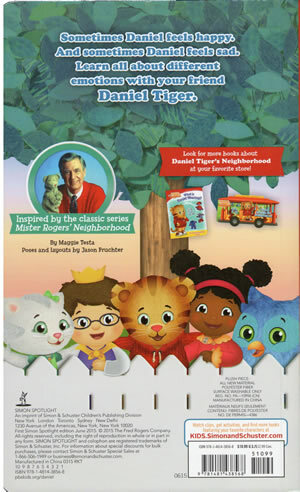 The cover of this book features Daniel Tiger's face in a three-dimensional plush form. Included in this book are scenes and strategies from Episode 104a, Episode 118a, Episode 130a, Episode 136a, and Episode 137a.